Back in March of this year, Chevrolet announced that it was partnering with the National Newspaper Publishers Association (NNPA) to launch a new fellowship program at Howard University’s School of Communications. 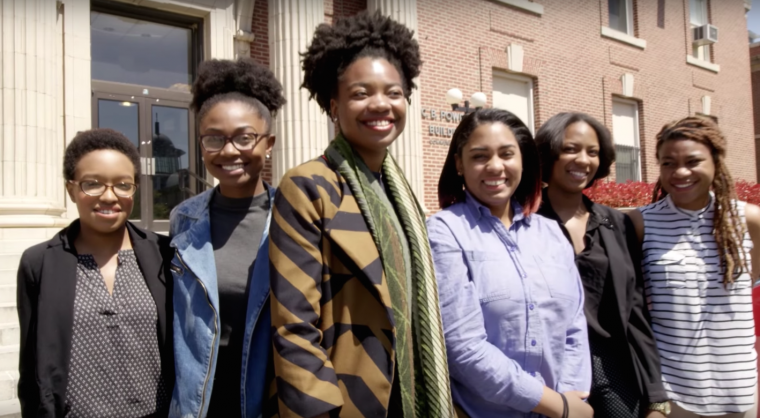 Entitled “Discover the Unexpected” (DTU), the program was designed to provide eight students at the iconic HBCU with the opportunity to work at NNPA-member papers based in Detroit, Chicago, Atlanta, and Washington DC. The eight DTU/NNPA Fellows were chosen from a pool of applicants by a panel of NNPA Publishers, Editors, and Howard University faculty, and then were paired into four teams of two and given an NNPA professional adviser. The eight Fellows also received stipends and tuition scholarships, invaluable hands-on experience and networking opportunities, and from Chevy a 2016 Malibu for each team to use during their reporting assignments. One month later, the eight select students meet with General Motors Diversity Marketing Manager Michelle Alexander, who gets to give them the good news that they will have a stipend, use of the new Chevy Malibu, and a $10,000 scholarship as part of their Fellowship. Several of the Fellows share their thoughts and feelings about the exciting opportunity, both to further their careers and to tell stories relevant to the African American community. Hopefully, GM will continue providing us with updates on the DTU and the Fellows’ progress.